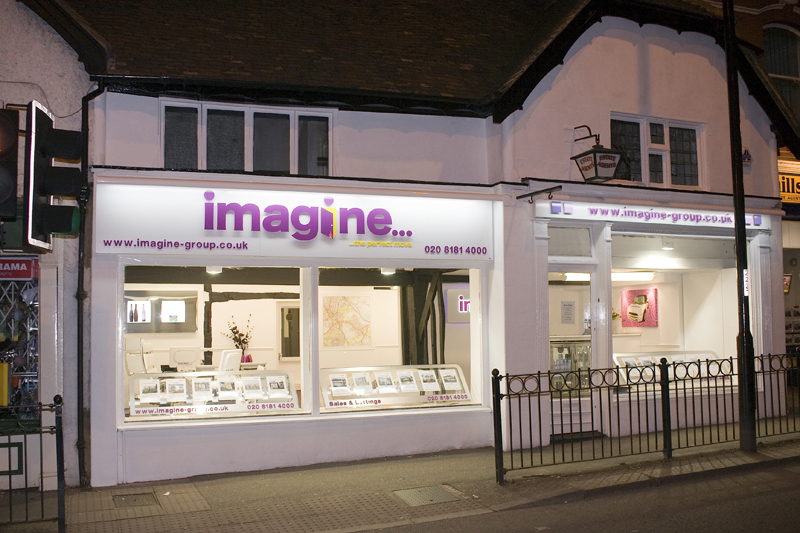 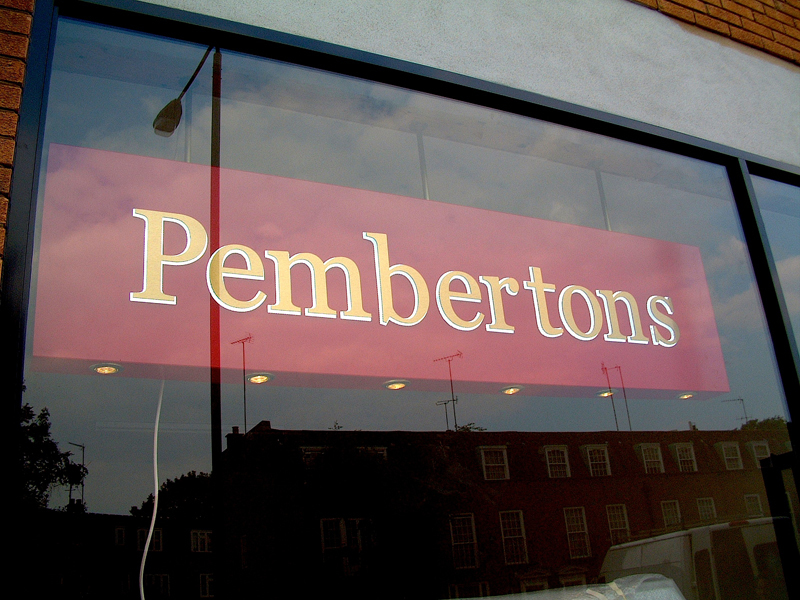 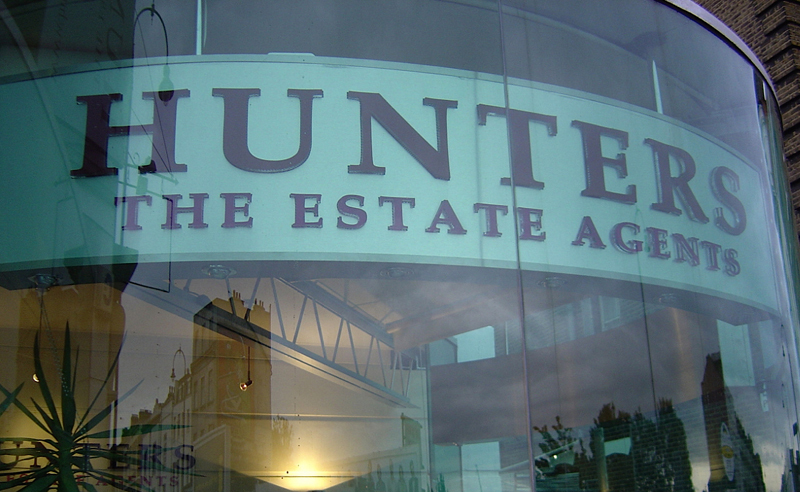 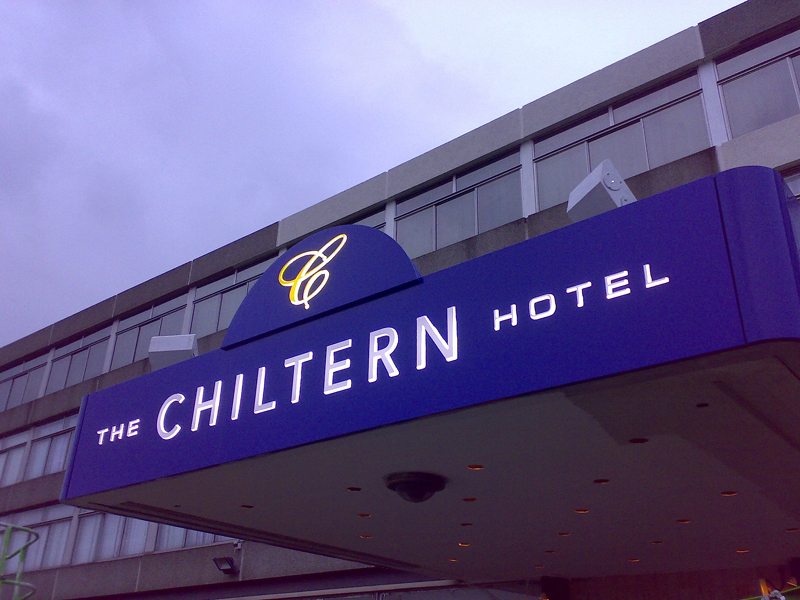 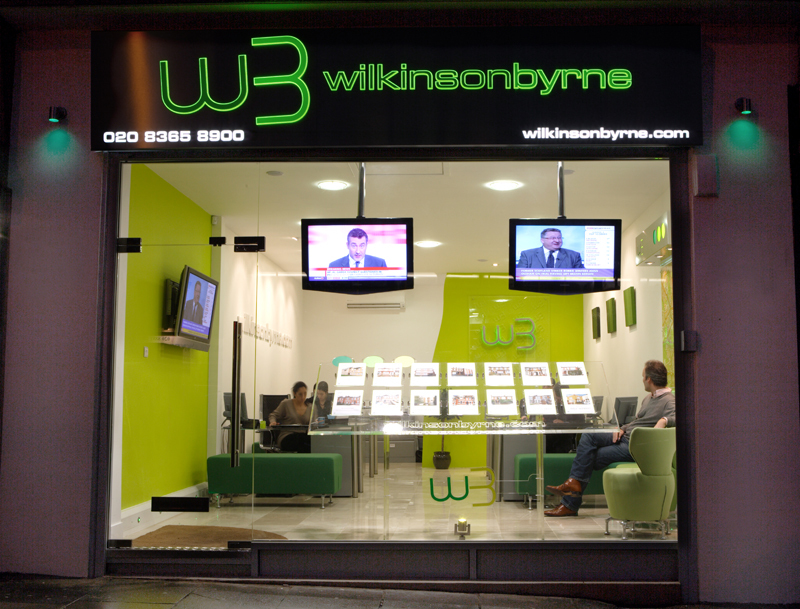 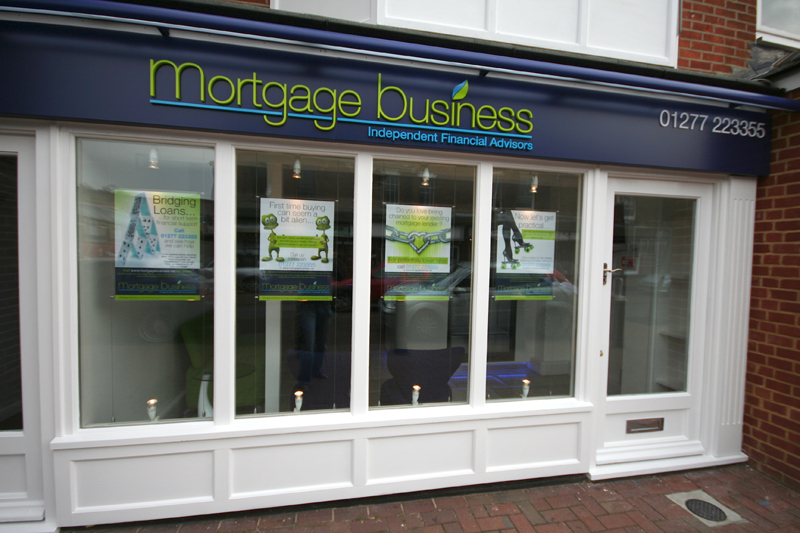 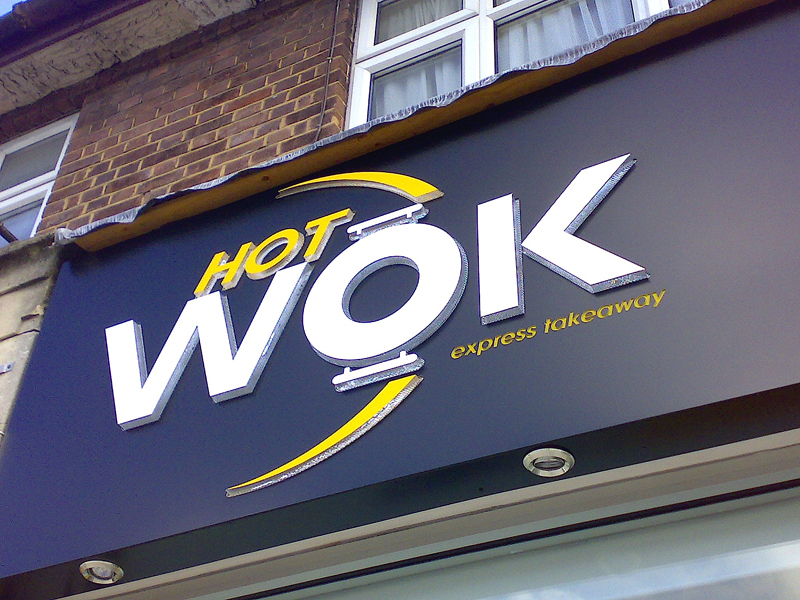 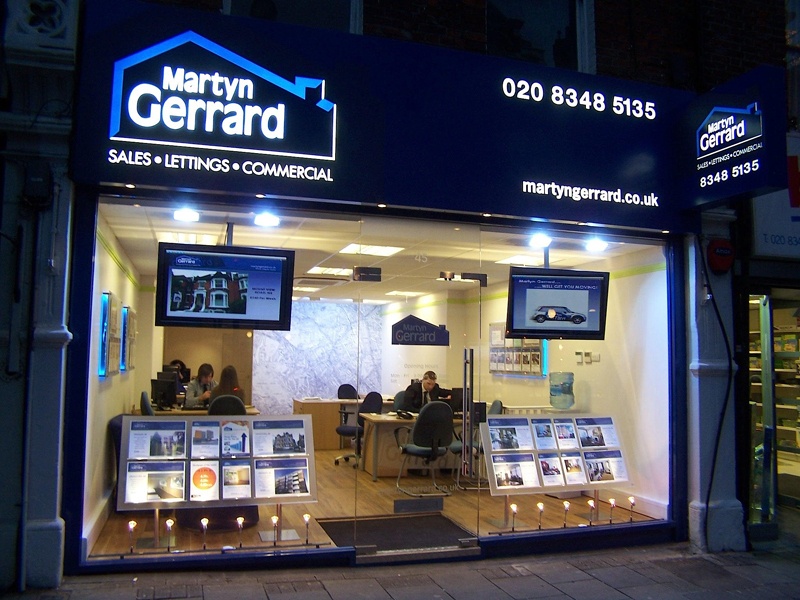 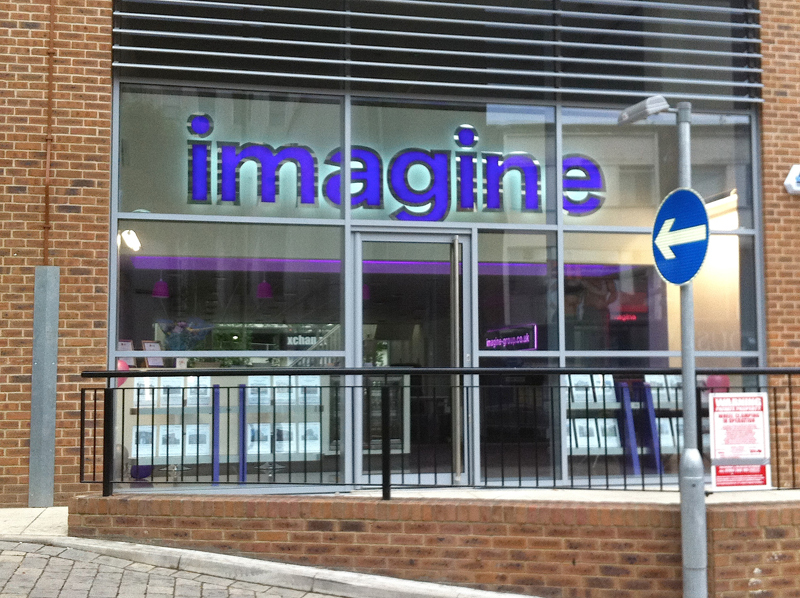 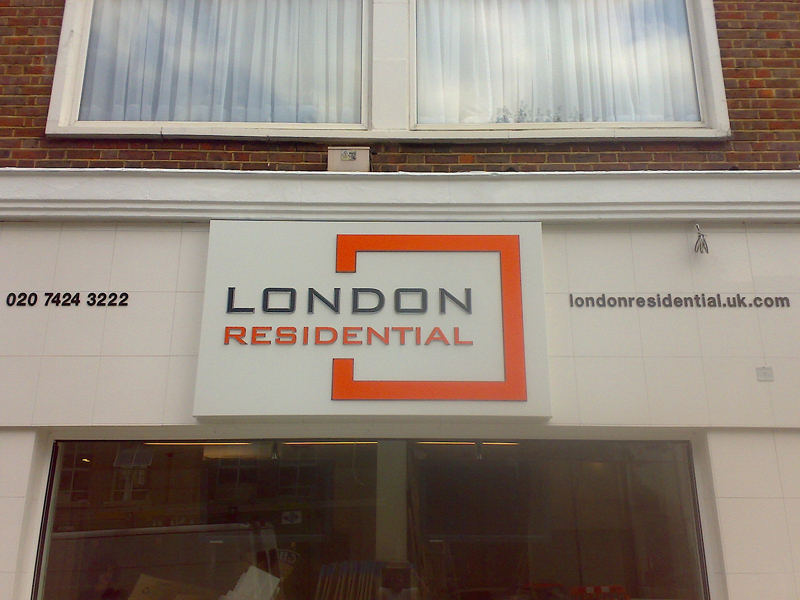 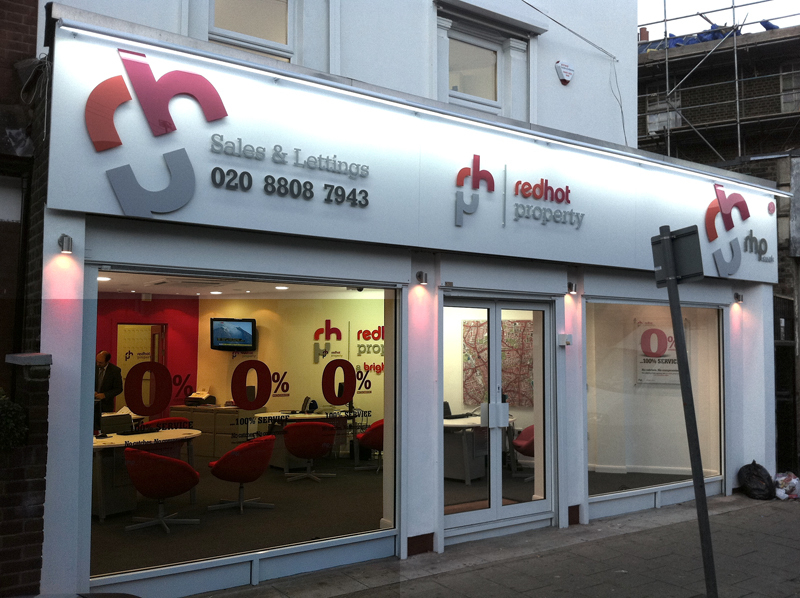 Exterior signage is your chance to get noticed and entice the customer in to your premises. 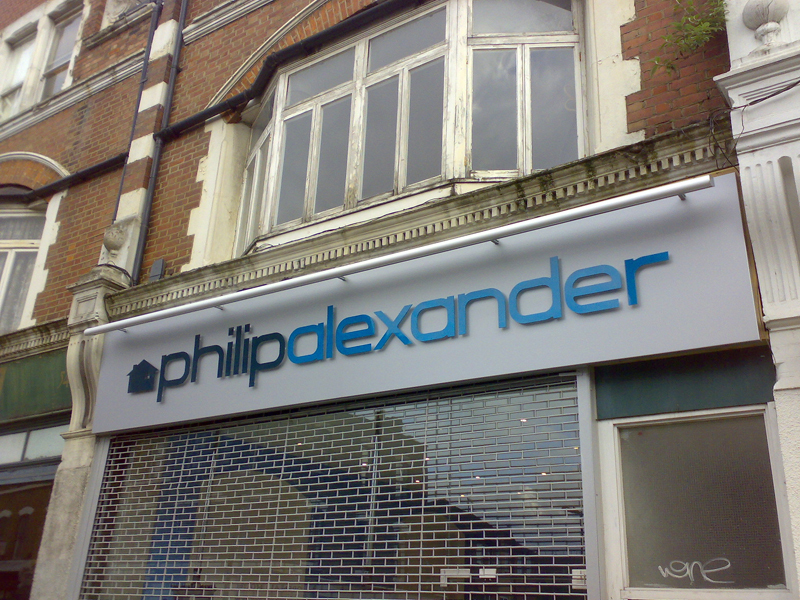 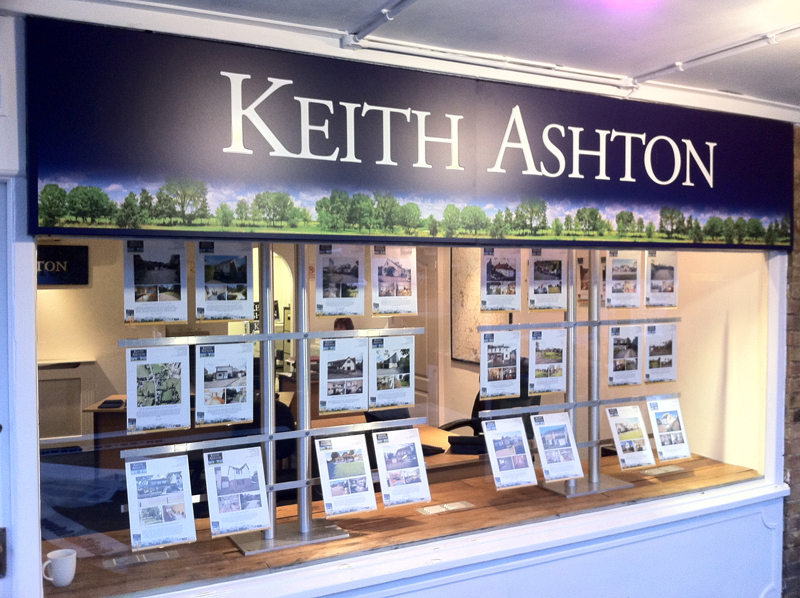 From subtle minimalist fascias to big brash bold illuminated fascia signage, we cover all the popular choices depending on your local authority planning restrictions. 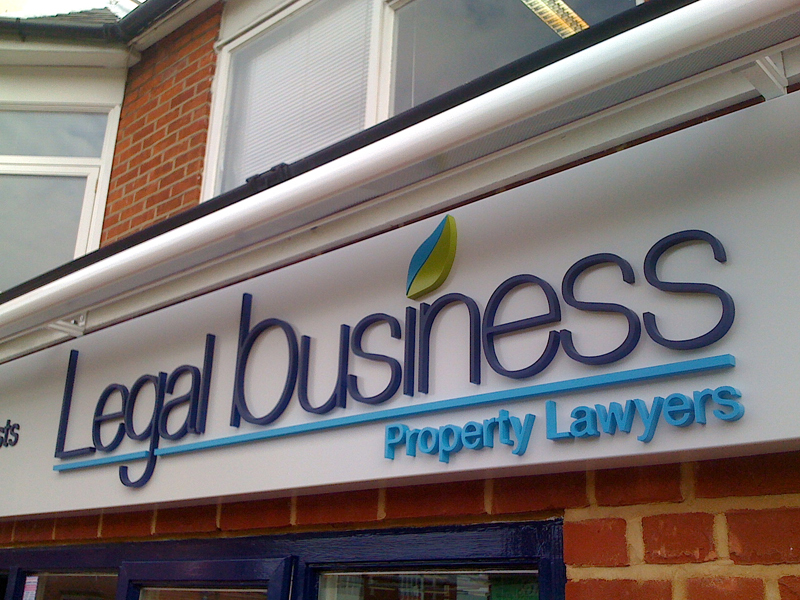 There are several different types of external facia systems for which budget will usually determine the make up and materials used in the sign. 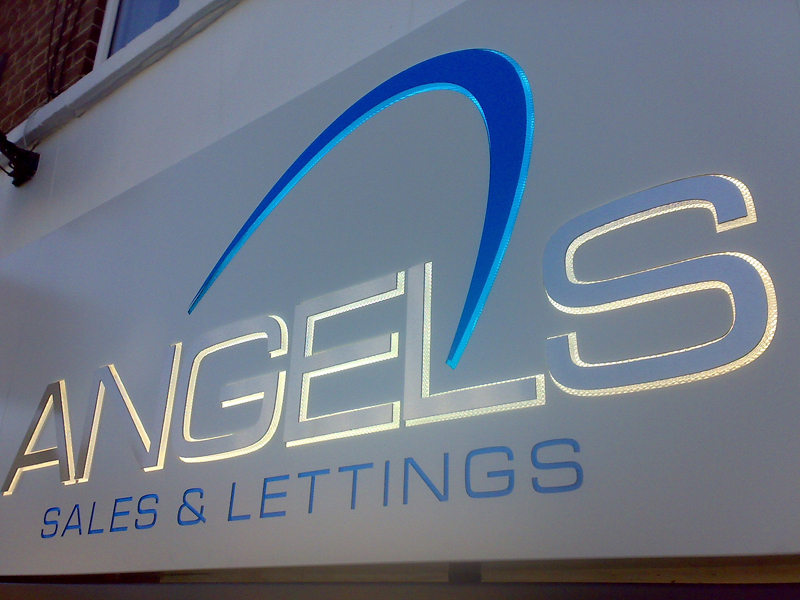 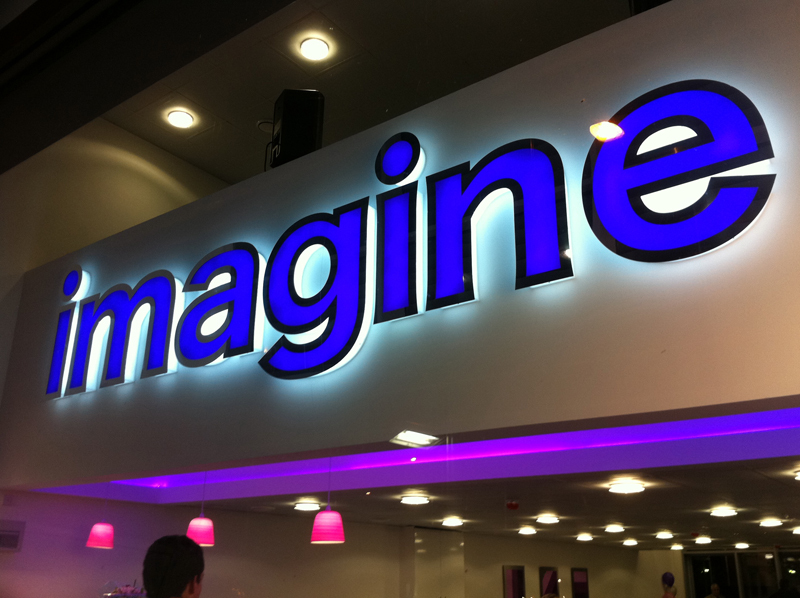 Top end facia signs are usually formed in aluminium with stylish built up 3D letters and perhaps integrated lighting systems. 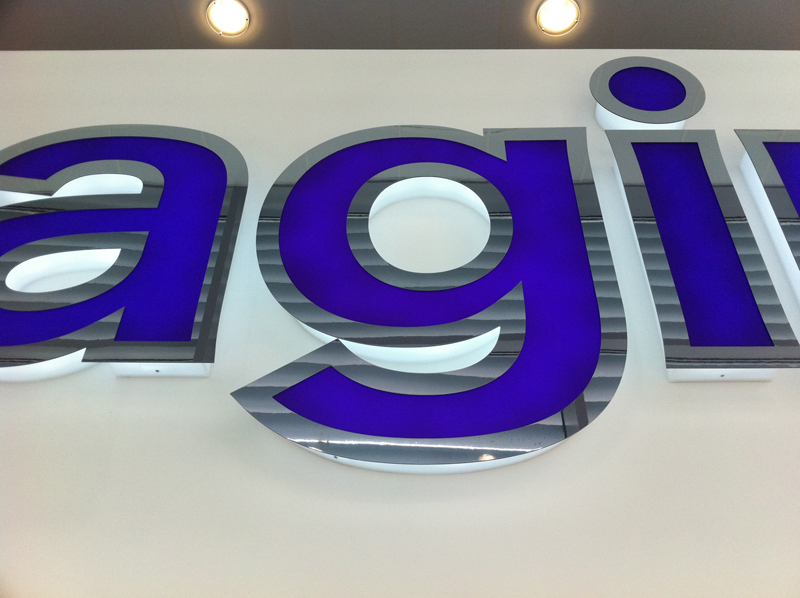 Direct digital printing to aluminium is now fast becoming the new signage technique being flaunted. 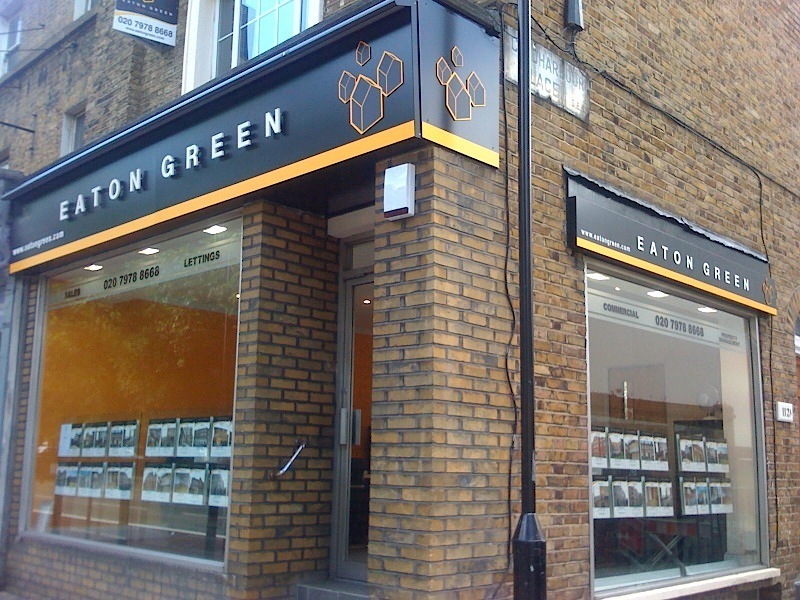 These are the latest facia systems and are sleek and stylish, as they do not have traditional aluminium frames. 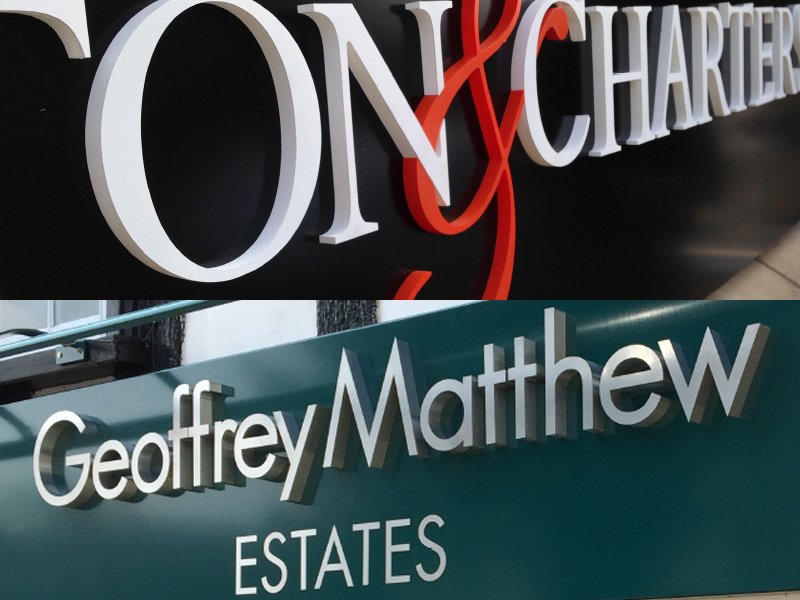 These signs are formed from a single sheet of pressure pressed aluminium which is then colour sprayed and baked in an oven. 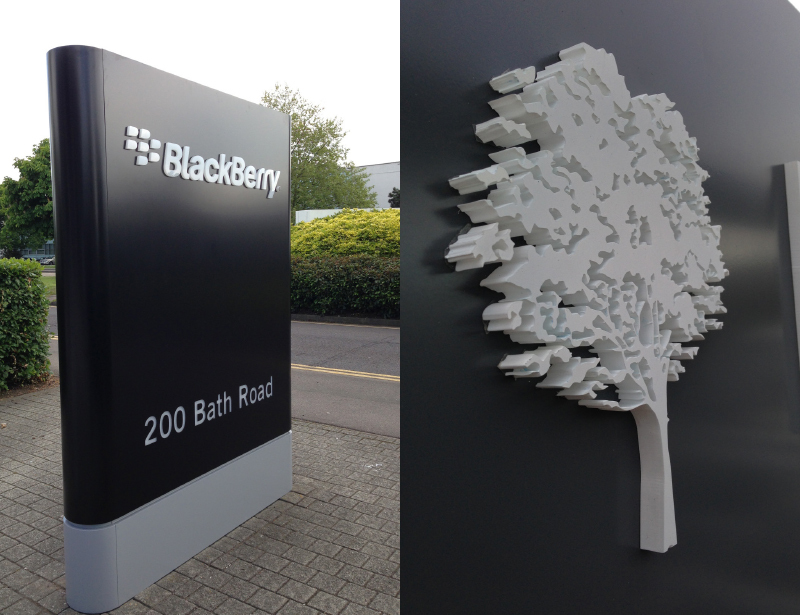 Letters and logos are then cut into the aluminium to allow lighting to be used which is set in the back of the sign tray. 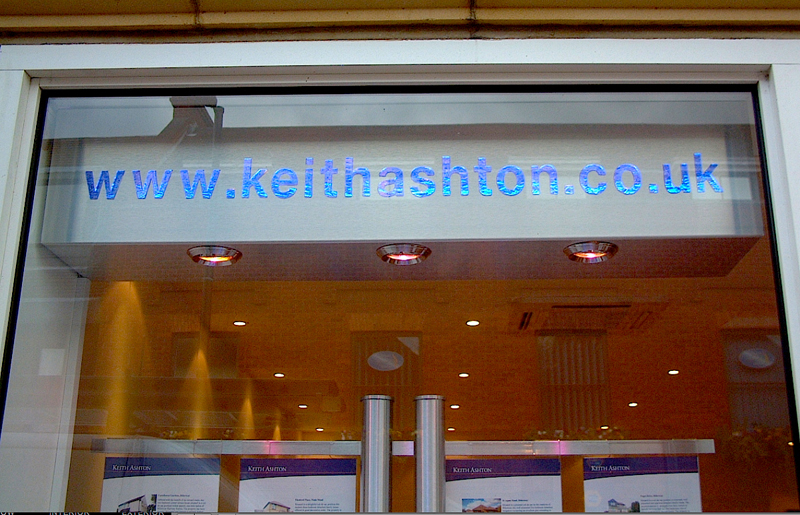 Lighting from the rear also enables various lighting colours to be achieved by coloured gels and acrylics. 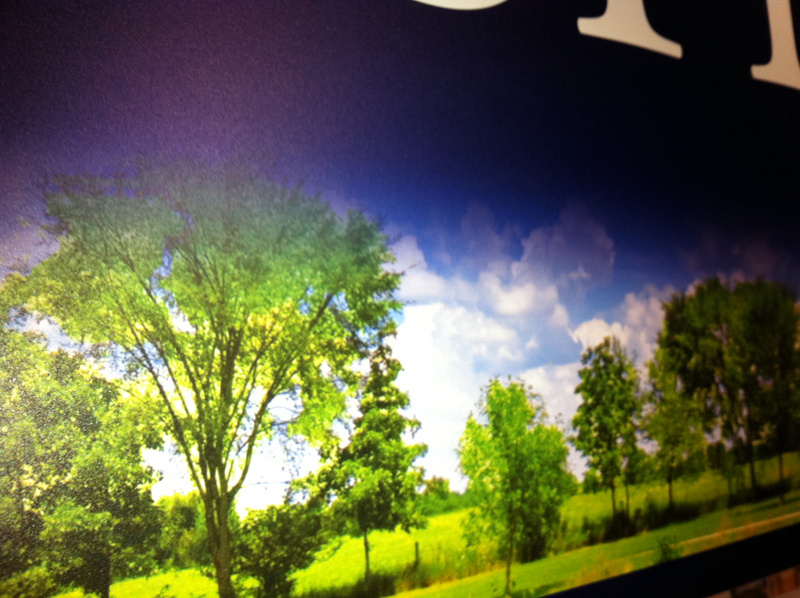 Various types of lighting are available including LED and tri phosphorus. 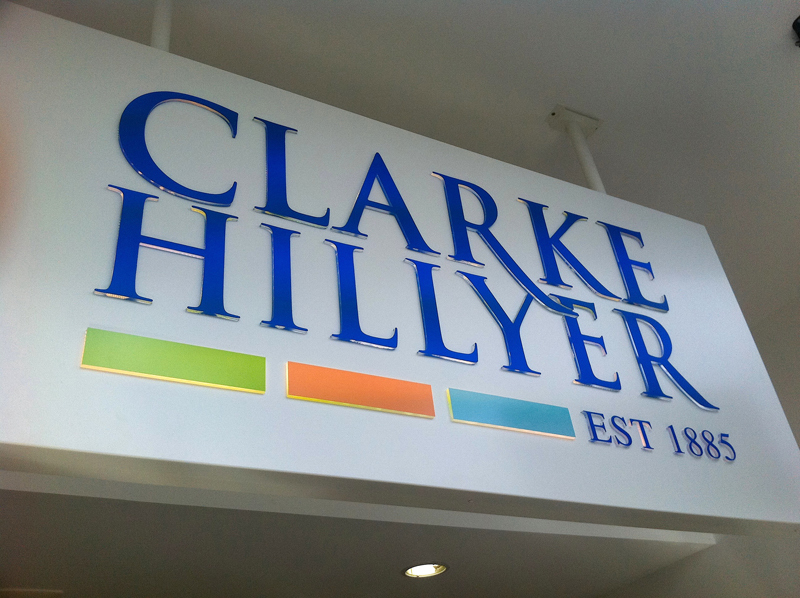 Aluminium tray panels are formed as above, and are then used to fix acrylic, vinyl, metal and wood letters in various finishes to the front. 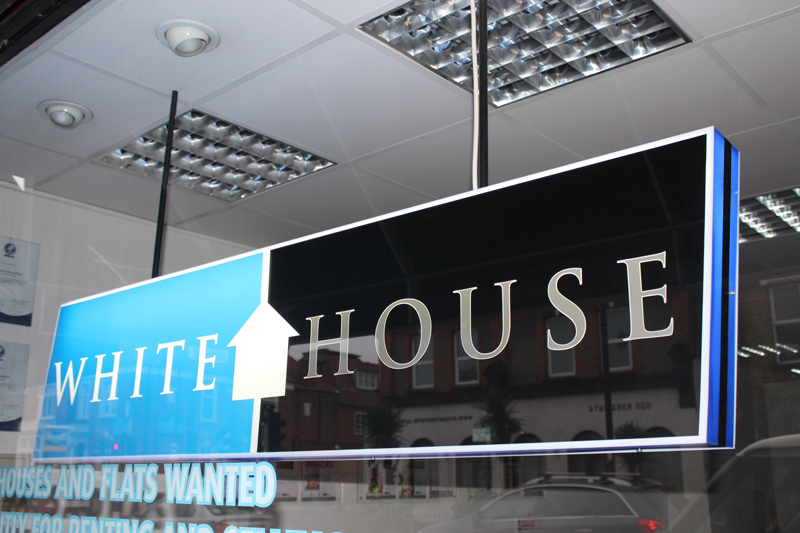 Colour matched trough lighting systems are then fitted to the top of the sign. 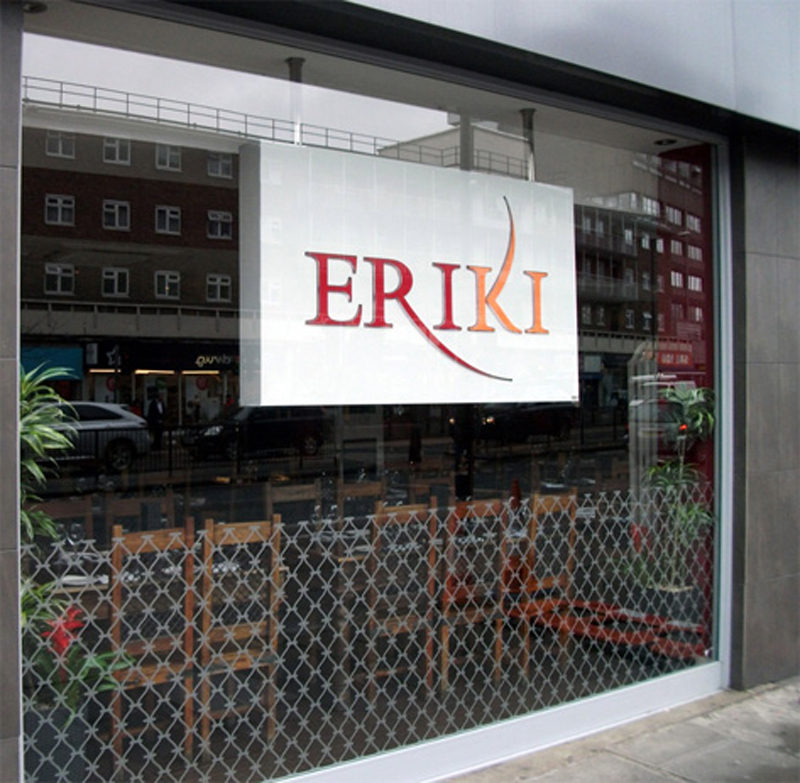 These lighting systems are economical to run and maintain, and have the strength to illuminate down to the pavement level. 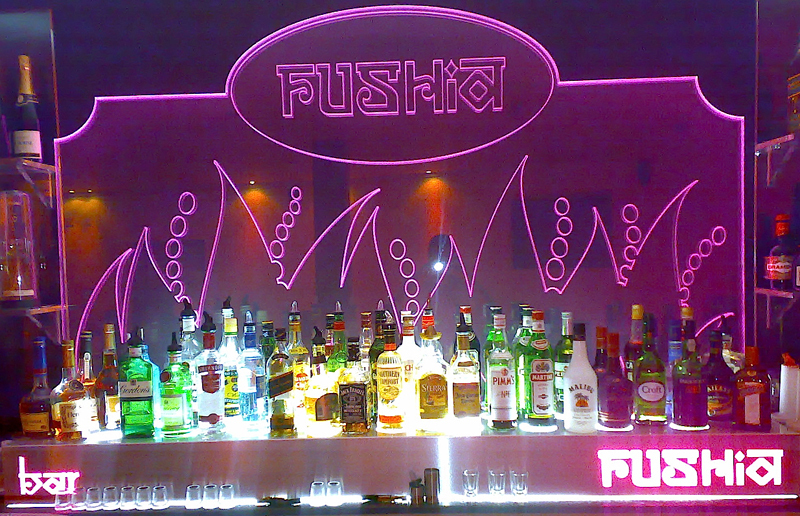 Various types of trough lighting are available including LED and tri phosphorus. 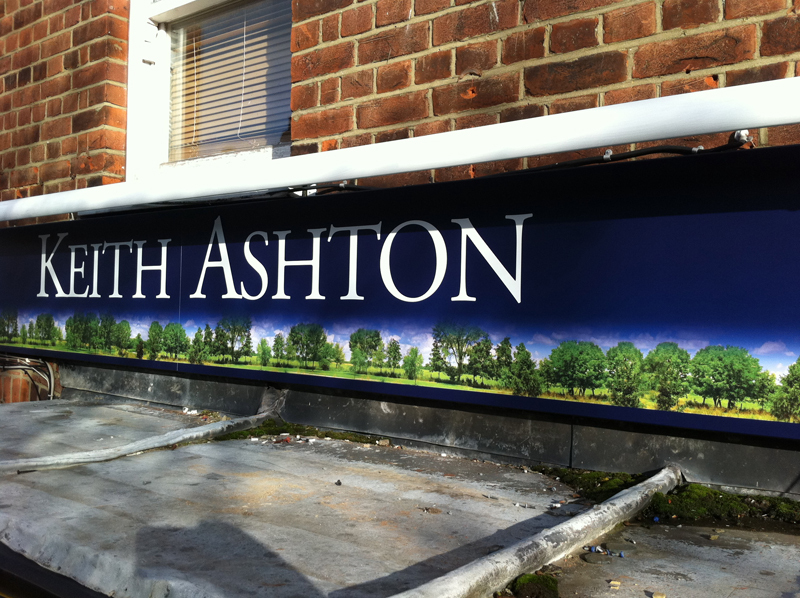 DTM state of the art fascias have arrived which is a process where an industrial size printer can print a full colour fascia directly onto aluminium. 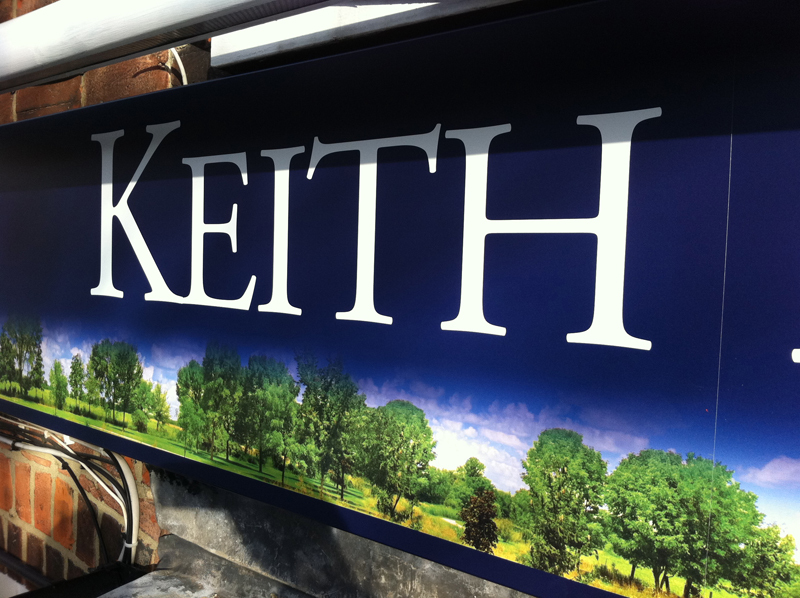 The process boasts astounding quality and can pantone match colours exactly as you would see them on your artwork. 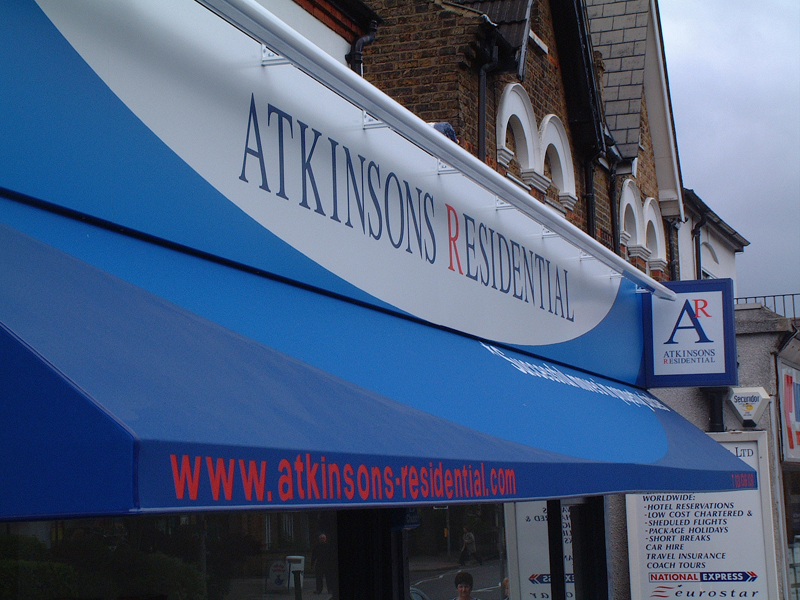 The panels are then formed into fascia tray panels and can be further enhanced with 3d lettering or left flat faced as desired. 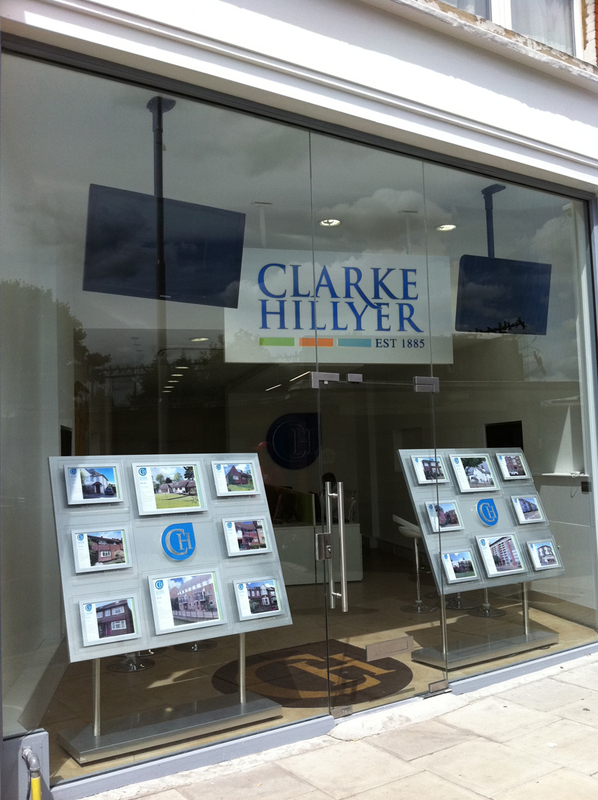 Coloured acrylic panels are custom slotted into pre formed aluminium frames. 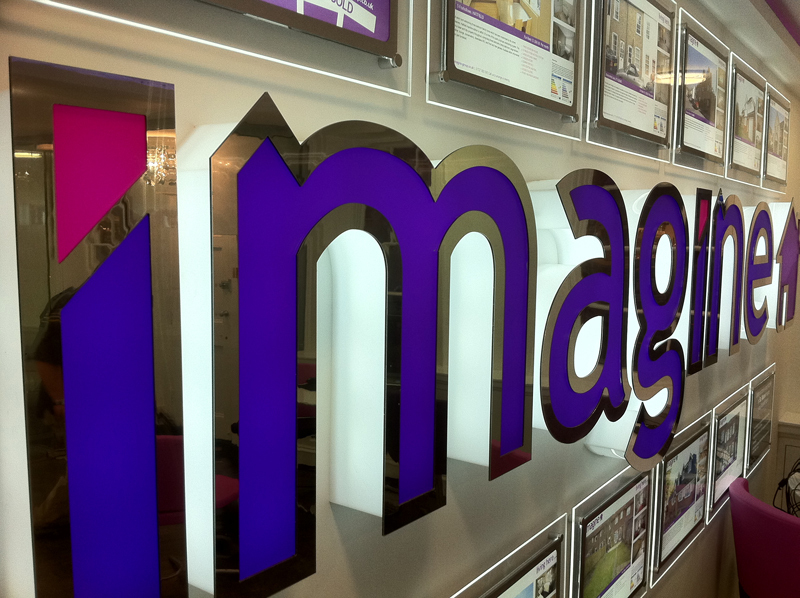 Acrylic coloured letters are then cut and fitted to the panel either flat or raised off on locators. 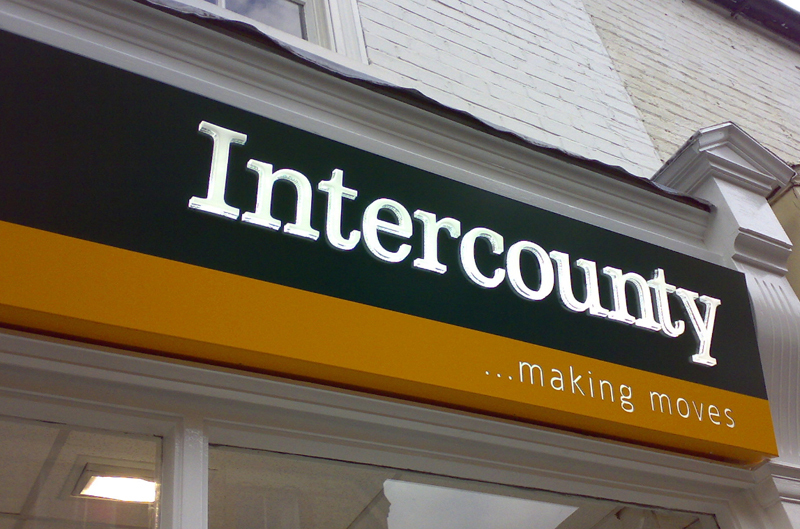 Computer cut vinyl letters can be used for those on a tighter budget, or for signs where other lettering may need to be added or removed at a point in the future.